COA TO AUDIT MILITARY INTELLIGENCE FUNDS, BUT NOT OIL FIRM PRICING: Commission on Audit (CoA) Chairwoman Maria Gracia Pulido-Tan has accepted the Armed Forces proposal to submit its intelligence funds to strict auditing rules and avert misuse of military allocations. However, Tan rejected proposals for the audit of oil firms to determine whether or not they have been overpricing their products. "We cannot audit oil companies if there are no public funds involved," Tan said. GOVERNMENT HIKES WITNESS PROTECTION PROGRAM BUDGET & JUDGES PAY: The government has increased the budget of the Witness Protection Program from around P84 million in 2010 to P151 million this year so the administration can take better care of witnesses and whistleblowers integral to the quest for truth, President Aquino said. "Make no mistake about it: we promised reform, and we are putting our money where our mouth is. The DBM (Department of Budget and Management)'s current efforts to trim the fat from the bureaucracy will be reinforced by the support of our new appointees at COA (Commission on Audit), namely (chairperson) Grace Tan and (commissioner) Heidi Mendoza," Aquino said during the DBM's 75th anniversary at the Reception Hall of the Philippine International Convention Center in Pasay City on Monday night. "But our search for truth and justice may remain difficult to achieve if our judges and justices are not well-compensated. This is why the DBM signed a memorandum of agreement with four judges associations to provide almost P108 million to augment the gap in the pay of judges, which will allow their salary levels to catch up with salary increases under the Salary Standardization Law 3," the President said. Aquino said these changes were being implemented to help ensure that those who were working in government and would want the anti-corruption efforts to succeed are able to do their job well. "...the bottom line is this: the improvements we are experiencing are really just a result of our revival of a long forgotten concept that public funds are not for public officials. They belong to the Filipino people, and must therefore be spent for the Filipino people. If we can consistently put this into practice in the next five years and three months, then it will become part of the norm rather than the exception, such that the next president, the next batch of elected public servants, and our people will merely continue the good we have already begun," the President said. VP BINAY: BLAME CORRUPTION ON MODERN CONSUMERISM >>> Corruption should be blamed on consumerism, according to Vice President Jejomar C. Binay. Speaking during last Tuesday's Management Association of the Philippines' General Membership Meeting at the Peninsula Manila, the Vice President said that consumerism spread through media had influenced people's image of progress. "Every day, we are bombarded with images that influence our image of progress. Whether in television, the internet or in print, a subliminal message of consumerism seeps into our souls and fuels our aspirations," he said. "These offerings show the height of human creativity in the retail and advertising trades, but they have also defined stereotypes of success: a German car, a Swiss watch, a house in a gated community and maybe a summer getaway by the sea," he said. "There is nothing wrong with wanting these things, but we sit on a precarious perch if we end up wanting these things at all costs,"Binay said. "It sets the stage for cutting corners in our principles just so we can brandish a perceived badge of stature." "It starts to numb our sensitivities, convincing us that it is acceptable to take what is not ours, just so that we can live a lifestyle in place of a life," he said. Binay said that personal reforms among government executives and employees and ordinary citizens are needed in the fight against corruption..."Corruption, whether in government or in private organizations, is the unkindest theft we can suffer since it robs the poor and the needy before anyone else," Binay said. HOUSE SPEAKER: "MERCI TRYING TO WEAKEN IMPEACHMENT CASE" >>> Speaker Feliciano Belmonte Jr...told reporters that the recommendation of the Ombudsman's office for the filing of criminal charges against certain former lawmakers who are related to incumbent House members is not a retaliatory move against his chamber for its overwhelming vote to impeach Gutierrez. "The members of the House are already out of this already, since we have voted on it. I look at it as a move to defang one of the impeachment charges, which is related to the fertilizer scam," he said. However, the Speaker pointed out the fact that the Ombudsman's office is recommending charges against former lawmakers and agriculture officials seven years after the 2004 fertilizer scam "only proves that there was prolonged delay of action." "I am surprised that it has taken the Ombudsman all this time to resolve this thing. The very basis of the impeachment is lack of expeditious action," he said. Ombudsman Merceditas Gutierrez has the financial resources and the personnel to go after corrupt persons in the government and yet has little to show in terms of convicted grafters, according to one of the prosecutors in her impeachment trial at the Senate. Bayan Muna party-list Rep. Neri Colmenares said the House prosecution team would go into the details of how the Ombudsman spent her average annual allocation of P12.5 million in intelligence funds and P417.25 million in salaries for her 2,175-member staff during her first four years in office. “The question is, Where is she using these funds? No major case of corruption was resolved under her watch,” he said, adding that the House prosecution team would ask the Commission on Audit for a more detailed probe of the Office of the Ombudsman’s budget in the first four years of Gutierrez. Colmenares said that with vast resources at her disposal, it was inexcusable for the Ombudsman to post a low conviction rate and produce sloppy work like the recent plunder case she ordered filed against the persons involved in the P728-million fertilizer fund scam, including a dead man. “She spent a total of P49.97 million for her intelligence fund from 2005 to 2009, and yet she makes these supposed mistakes,” the lawmaker said. Former Sen. Ramon Magsaysay Jr. is open to the idea of taking the witness stand when the Senate tries impeached Ombudsman Merceditas Gutierrez for her alleged inaction on the P728-million fertilizer fund scam. Magsaysay, who presided over the Senate inquiry into the scam in 2005 and 2006, has some reservations about testifying at what is expected to be a high-profile impeachment trial, but said he would do so if necessary. Bagong Alyansang Makabayan (Bayan), one of the two complainants in the impeachment of Gutierrez, had been enlisting Magsaysay to join its pool of witnesses and bolster its case against the Ombudsman. The former senator, now a businessman tending a dairy farm, said that if he did testify, he would possibly confirm the highlights of the Senate inquiry as well as the recommendations of the investigating agriculture committee that he then chaired. IMMGRATION CHIEF WARNS PUBLIC: Immigration Commissioner Ricardo David Jr. warned the public yesterday of unscrupulous groups who are using his name to extort money from foreigners. David said he received reports that there are people claiming to be immigration agents who have been extorting money from foreigners, saying they were acting under direct orders from him. "I have never authorized or instructed anyone, either within or outside the bureau, to solicit and collect money on my behalf," David said in a statement. He appealed to foreigners who may have been victimized by the extortion syndicate to report to the BI the names of the fund solicitors so that the necessary action could be taken against them. A ranking official of the AFP...blasted the "whistle-blowers" in the alleged massive corruption in the military organization during the previous administration, accusing these whistle-blowers of snitching and putting the military institution in a bad light, just to protect themselves, also implying they themselves benefitted from the past misdeeds. In his assumption speech, newly installed AFP-Civil Relations Service (CRS) chief Brig. Gen. Eduardo del Rosario, however, stressed that the present military leadership is all-out for the truth. The new AFP-CRS chief also stressed that the alleged corruption in the military organization is a "thing of the past." "The alleged sins of corruption by a few ranking military officers and their accomplices that happened a decade ago, is not the sin of today of about 125,000 soldiers who are honorably rendering their services nationwide..."
A ranking military official has been relieved of his post pending an investigation into alleged irregularities in transactions involving the the Armed Forces of the Philippines' (AFP) fuel and lubricants supply management. Commodore Teddy Pan, the AFP deputy chief of staff for logistics, was relieved of his post to ensure fairness in the investigation by a team of the military’s Judge Advocate General, AFP Internal Auditor and Provost Marshal General. “It is an accepted practice in the military establishment to relieve the commander of the unit or office being investigated in order to pave the way for an impartial and honest investigation," said AFP public information office chief Col. Arnulfo Marcelo Burgos on Thursday. Pan’s office has been recorded to have distributed and consumed P400 million in petroleum and lubricants for military units from January to March 15 this year, an amount way above the AFP’s authorized P150 million for one quarter. The amount gave rise to suspicions that the military has resorted to the illegal “conversion" scheme to generate funds as "pabaon" or going-away gift for now former AFP chief Gen. Ricardo David, who retired last March 7. MILITARY SPOKESMAN DEFENDS LOGISTICS CHIEF: The spokesman for the Armed Forces of the Philippines came out swinging in defense of their chief logistics officer who was relieved while under investigation for alleged misuse of the gas allowances of various military units for the first quarter of the year..."Contrary to what other people believe, Commodore Pan is not guilty. He is just requested to step aside so that the investigation can move with dispatch and by stepping aside he has actually given his full cooperation," AFP spokesman Commodore Miguel Rodriguez said Sunday. "As General Oban had said, 'If you have nothing to hide then you have nothing to fear.' That is the bottom line," Rodriguez added. Ombudsman Merceditas Gutierrez threw diligence out the window when her office recommended the filing of plunder charges against key players of the P728-million fertilizer fund scam but included whistle-blower Jose Barredo, Malacañang said Wednesday. Barredo, who has protested the Ombudsman’s recommendation to charge him with plunder, said he executed on April 19 a sworn statement detailing how funds were diverted to different pockets and alleging that the conspiracy went all the way up to Malacañang. Barredo said Wednesday night that he based his statement that Malacañang was involved in the scheme on his own observation. He said that runners like him were told to talk only with allies of then President Gloria Macapagal-Arroyo and that those who transferred to the opposition were deprived of the funds. He said he received his instructions from Marites Aytona, the one who was talking with then Agriculture Undersecretary Jocelyn “Joc-joc” Bolante, considered the point man in the scam. SOLON: GOVERNMENT EXECS IN FERTILIZER SCAM FACE SUSPENSION >>> Bayan Muna Rep. Neri Colmenares warned yesterday that government officials facing graft charges filed by the Ombudsman's office in connection with the P728-million fertilizer fund scam could face suspension. He said once the charges are filed at the Sandiganbayan, the Ombudsman could ask the anti-graft court to suspend the respondents. "It's not automatic. Prosecutors would have to file a motion with the court for the suspension of the accused," he said. He said the court would have to consider the motion and hear the side of the respondents. At least five government officials that were implicated by the Ombudsman to the fertilizer fund scam are still on active duty at the Department of Agriculture or in other government agency. NEW CHARGES MAY NOT BE USED VS OMBUDSMAN IN IMPEACHMENT TRIAL: Fresh revelations that Ombudsman Merceditas Gutierrez might have bungled the filing of criminal charges in connection with the P728-million fertilizer fund scam may not necessarily be used against her in the upcoming impeachment trial. Senate Majority Leader Vicente Sotto III said Saturday it would be up to the House prosecution team to decide whether to include the alleged blunders. "We will just have to look at how prosecutors will incorporate that in the articles of impeachment,"...Whether that is covered by any of the articles filed, we can only gauge once it is actually included. It would be best if the prosecutors discuss it among themselves." Sotto noted that the impeachment rules, following the rules of evidence, prevented the presentation of evidence not included in the articles of impeachment or charges. BLUNDERS IN PLUNDER CASE: Expressing surprise at Ombudsman Merceditas Gutierrez's recommendation to file plunder charges in the Sandiganbayan against Jose Barredo along with the alleged key players in the P728-million fertilizer fund scam, former Sen. Ramon Magsaysay Jr. said Barredo, who was a witness in the Senate inquiry, was not among those recommended to be prosecuted for the fund diversion. "I'm surprised that he's one of those recommended to be charged. He was one of our many witnesses, and he came forward voluntarily," he said. Barredo testified as a witness at the Senate agriculture committee's inquiry into the alleged diversion of the fertilizer fund to the presidential campaign of then President Gloria Macapagal-Arroyo in 2004. "He's a credible witness. I'm sure he will try to help in the impeachment trial or in the trial of the fertilizer fund scam to come out with the truth," said Magasaysay, who chaired the agriculture committee that inquired into the scam in 2005 and 2006. HOUSE MINORITY LEADER: AQUINO'S TRIAL BY PUBLICITY OF OMBUDSMAN VIOLATES CONSTITUTION >>> House Minority Leader Edcel Lagman accused President Benigno Aquino, on Tuesday, of leading a trial by publicity campaign against Ombudsman Merceditas Gutierrez in order to galvanize public opinion for her conviction in the impeachment trial set to open in the Senate on May 9. Lagman, a representative of Albay, reminded the President that by doing so, he was already infringing on the sole power of the Senate to adjudicate the impeachment case against respondent Gutierrez. "The trial by publicity and (campaign for) conviction through campus speeches being waged by President Aquino for the ouster of Ombudsman Merceditas Gutierrez directly influence and demean the discretion and judgment of senators who are inveigled to act like Pontius Pilates to subject their decision to the vagaries of public opinion," Lagman said. "By actively, publicly and incessantly campaigning for the impeachment of the Ombudsman, President Aquino has violated the Constitution, which exclusively reserves to and vests on Congress the power to impeach and convict impeachable officials," he added. Lagman has cited Article XI of the Constitution, which provides that the House of Representatives shall have the exclusive power "to initiate all cases of impeachment, while the Senate shall have the sole power to try and decide all cases of impeachment." 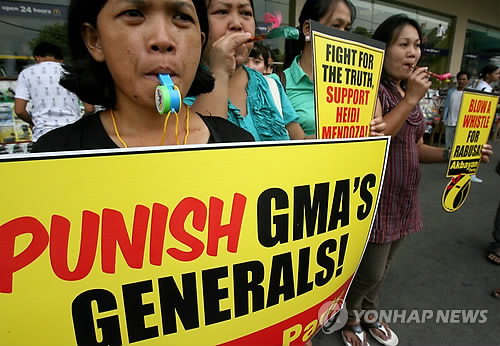 GENERAL SLAMS WHISTLEBLOWERS, URGES THEY GIVE UP "EVERYTHING STOLEN: A ranking official of the Armed Forces of the Philippines (AFP) has slammed military personnel who recently exposed massive corruption in the military, saying the so-called whistleblowers were only trying to evade responsibility for participating in the anomalies. In his remarks after being installed as the new chief of the AFP Civil Relations Service (CRS) on Tuesday, Brigadier General Eduardo Del Rosario said while those who enriched themselves with military funds should be punished, the whistle-blowers themselves should also come clean by returning the funds they had pocketed. "Those who will be found guilty must be punished to the full extent of the law," he said. "Some have observed that the alleged whistle blowers are now coming out just to protect themselves. But if they will surrender everything that they have stolen, and then make a confession in Congress or in court, only then can we be assured of fair, honest and sincere dispensation of justice," he went on. COA WELCOMES NEW EXECS TAN & MENDOZA: The Holy Week began with a call for reconciliation and unity from new Audit Commissioner Heidi Mendoza. Mendoza and the new Commission on Audit (COA) chair, Grace Pulido Tan, formally assumed office Monday, joining hundreds of colleagues at the flag-raising ceremony. The two new officials also spoke before COA personnel, who welcomed them with applause and a banner...In an earlier interview, Tan said her initial plans for the agency included looking into claims that there had been auditors who overstayed at their assigned agencies. SUPREME COURT FINDS TWO SANDIGANBAYAN JUSTICES LIABLE FOR MISCONDUCT: The Supreme Court on Monday ruled with finality its decision finding administratively liable two Sandiganbayan justices for misconduct after they were charged by a prosecutor from the Office of the Ombudsman for violating the Rules of Court when they tried a case separately instead of acting as a collegial body. SOLON WARNS OF BOOBY TRAP: LATE FILING MAY PROTECT GMA >>> IN the mind of Bayan Muna Rep. Neri Colmenares, Ombudsman Merceditas Gutierrez is laying a booby trap with a belated decision to file plunder charges against former Agriculture Secretary Luis "Cito" Lorenzo Jr. and his undersecretary Jocelyn "Joc Joc" Bolante over the P728 million fertilizer fund scam. Colmenares, a member of the 11-man prosecution panel in the pending impeachment case at the Senate against Gutierrez, said because a dismissal of the charges by the Sandiganbayan on the ground of inaction would insulate now Pampanga Rep. Gloria Arroyo from criminal prosecution. The congressman said the filing of the criminal charges after nearly seven years of "investigation" by the Office of the Ombudsman will surely end up with the acquittal of the accused through the filing of a motion to quash the information for violation of rights to due process. He cited Tatad vs. Sandiganbayan in which the Supreme Court dismissed cases filed against then Sen. Francisco Tatad on the ground that it took the Ombudsman about five years to file the criminal complaint. NO MILITARY SANCTIONS YET: The military leadership on Monday said it will not yet impose administrative sanctions on active military officers slapped with a P2.3 billion plunder case filed last week. In an interview, Armed Forces spokesman Brig. Gen. Jose Mabanta said the AFP leadership will not impose sanctions such as relief from duty on 7 active officers included in the complaint until the Department of Justice finishes its investigation. "We are right now in the middle of (investigation). It is still early to come up with a recommendation on administrative sanctions. We will have to wait. It is still too early to determine," he said. HOUSE LEADER: MERCI IMPEACHMENT TRIAL LIKELY A 2013 CANDIDACY SPRINGBOARD >>> THE looming impeachment trial of Ombudsman Merceditas Gutierrez is highly likely to be used by lawmaker-prosecutors and senator-judges as a launch pad for their candidacy in the 2013 elections, a leader of the House of Representatives said on Thursday. Senior Deputy Minority Leader Danilo Suarez made the statement during the weekly Serye news forum, saying that House and Senate members cannot afford to shy away from the huge exposure that the historic impeachment trial will bring to their political ambitions. "Let's us face it. Most of them are running for reelection in 2013. Can you refuse the public exposure with a 75 percent rating? It is a free ride," he told reporters. Suarez, a member of the Lakas-Kampi-Christian Muslim Democrats, earlier said that the impeachment trial of Gutierrez will not be finished until the Ombudsmans scheduled retirement in December 2010 because of the many cases lodged against Gutierrez. HOUSE PROSECUTORS: GOVERNMENT INSIDERS MIGHT BOOST RAOS VS OMBUDSMAN OVER FERTILIZER SCAM >>> The House prosecution team said on Sunday it has been considering tapping government insiders involved in the fertilizer fund scam to provide fresh testimony in the impeachment trial of Ombudsman Merceditas Gutierrez. Rep. Niel Tupas Jr., the team leader, said the prosecution team might field a surprise witness, possibly a government official with knowledge of the diversion of the P728 million fertilizer fund for the campaign of allies of former President and now Pampanga Rep. Gloria Macapagal-Arroyo in the 2004 elections. Tupas said some potential witnesses could be willing to speak now after remaining silent for fear of reprisal in the old administration. NOYNOY: SUPPORT "OMG" >>> President Aquino yesterday called on graduates of the state-run University of the Philippines to join in his campaign to remove Ombudsman Merceditas Gutierrez, whom he said has blocked his policy of reform and good governance. In a speech he delivered at UP, he said it has been a tough job for him to clean up the dirt left by his predecessor Gloria Macapagal-Arroyo, much less to implement reforms he has started because of the "bantay salakay" attitude of the chief anti-graft buster. "It's difficult to implement reforms when the dregs of the old system go deeper than the roots of trees in the Sunken Garden," he said in Tagalog, referring to a UP landmark behind the main library. PHILIPPINE CHAMBER: CASES AGAINST TAX CHEATS, SMUGGLERS MUST BE AIRTIGHT >>> A business group has asked the tax and customs bureaus to ensure that cases filed against alleged frauds are strong and airtight. "Based on my impression, some of the cases that have been filed are not very strong," Philippine Chamber of Commerce and Industry (PCCI) chairman Sergio R. Ortiz-Luis, Jr. told BusinessWorld on Friday. "The cases must be airtight to make sure that when they are filed, the tax evaders can be caught," Mr. Ortiz-Luis added. "My worry is that people will no longer be afraid when the BIR (Bureau of Internal Revenue) and the BoC (Bureau of Customs) file cases. "...The PCCI chair stressed, though, that the business group remained very supportive of the BIR and BoC's respective Run Against Tax Evaders (RATE) and Run After the Smugglers (RATS) campaigns...The BIR has filed 38 RATE cases so far while the RATS campaign has produced 130 cases since the campaigns' inception in 2005. PCGG TO APPEAL SUPREME COURT RULING ON SAN MIGUEL CORP. SHARES: The Presidential Commission on Good Government (PCGG) is set to appeal the recent Supreme Court (SC) ruling upholding Eduardo Cojuangco Jr.'s ownership of the disputed 20 percent stake in conglomerate San Miguel Corp. (SMC). Marco Antonio Luisito Sardillo III, PCGG executive director, said they are now drafting a motion for reconsideration that would highlight the "interesting and very illuminating" dissenting opinions of Associate Justices Conchita Carpio-Morales and Arturo Brion on the case. Sardillo said the commission has already received a copy of the SC decision penned by Associate Justice Lucas Bersamin. "Justice Brion cited a basic principle of law which states that the state is not bound by the mistakes of its agents," Sardillo said. He said the PCGG is confident of convincing the SC to reverse its ruling. PCGG Chairman Andres Bautista earlier said the close vote of the justices on the issue could indicate that the government has not yet lost the case. Seven justices ruled in favor of Cojuangco, four dissented and four others abstained. Cojuangco is a maternal uncle of President Aquino. The government filed the case against Cojuangco on July 31, 1987, contending that the businessman acquired the disputed shares illegally and largely because of his close association with the late dictator Ferdinand Marcos. Despite earlier Palace claims that outgoing Ombudsman Merceditas Gutierrez is the one big stumbling block to President Aquino’s anti-corruption fight and preventing him from making the previous president accountable for her alleged corrupt acts during her stay as president by charging her in court, Aquino, through his deputy spokesman Abigail Valte, yesterday virtually admitted that there are no upcoming cases to be filed against former President and current Pampanga Rep. Gloria Arroyo and that the Palace is now banking on others to file plunder cases against the former president and her officials. At the same time, Valte echoed the call of Aquino the other day to the Judicial and Bar Council (JBC) for the body to speed up the search and selection process of the next Ombudsman. The call was made by Aquino on the same day Gutierrez had announced her resignation. Aquino and his allies have been threatening to file criminal cases against the former president, but apparently, despite their being in Malacañang and in power for 10 months, there apparently has been no review of contracts and other documents related to the acts of the former president that would incriminate her. Cabinet secretaries had already been instructed to come up with an inventory of their departments upon their assumption to office. Integrity and the determination to prosecute corrupt government officials are the top qualities that Malacañang seels for the new appointees. The Palace also said it wants the next Ombudsman to possess the right qualifications, such as having a reputation of integrity, as the Judicial and Bar Council (JBC) starts inviting applicants who would fill at least three key vacant positions in the anti-graft body. The prospect of her own people testifying against her could have finally pushed Ombudsman Merceditas Gutierrez to quit, the chair of the 11-member impeachment prosecution panel said Saturday. Iloilo Rep. Niel Tupas Jr. said the panel had been considering at least seven senior officials and employees of the Office of the Ombudsman to testify at Gutierrez’s impeachment trial that would have started after the Senate resumes session on May 9. “They felt that it is the right time for them to come out and tell the truth. They have vital insider information that could have been explosive,” Tupas told the Inquirer in a phone interview. The lawmaker said that the seven included a ranking official who had expressed willingness to testify, and that the others were seeking assurance of their families’ security if they took the witness stand. “The senior official could have been a surprise witness because of the official’s rank,” said Tupas, who chairs the House committee on justice that heard the impeachment complaints against Gutierrez. He declined to name the potential witnesses for their own security but said their testimonies could have been crucial in proving that Gutierrez had deliberately blocked the inquiry into the P728-million fertilizer fund scam. The fund was said to have been diverted to the election campaign of then President and now Pampanga Rep. Gloria Macapagal-Arroyo in 2004. Tupas said the prosecutors were still finalizing arrangements with the potential witnesses when Gutierrez resigned. THE OFFICE OF THE OMBUDSMAN filed a total of 1,195 cases against ranking government officials before the Sandiganbayan from the time Merceditas Gutierrez assumed office in December 2005 up to December 2009. It also filed 2,613 cases against public officials and government employees in the regular courts within the period. They were charged for various offenses such as anomalous dealings and misconduct, among others. The cases filed before the Sandiganbayan included 515 cases filed in 2006, 75 in 2007, 416 in 2008 and 189 in 2009. Of these, only 223 cases resulted in convictions under Gutierrez, according to Sandiganbayan records. The number does not include the convictions in cases filed by Gutierrez’s predecessors. Of the cases, a total of 221 were filed against only one official—a mayor in Quezon who had issued permits to transport forest products and was found guilty of usurpation of functions of the Department of Environment and Natural Resources. In 2006, 213 government officials were slapped with administrative cases by the Ombudsman, 143 of whom were dismissed from office. In 2007, 1,610 were suspended, 8 fined, 27 reprimanded and 1 demoted. Among those suspended were two mayors and eight of their subordinates and nine top officials of the Department of Public Works and Highways for their alleged involvement in the controversial P365-million decorative lampposts in Cebu. In 2008, 1,163 officials and employees were sanctioned; 396 were dismissed. In 2009, at least 500 were sanctioned, including 175 who were dismissed. INQUIRER: Next ombudsman can undo plea bargain, ex-prosecutor says...as long as the Sandiganbayan has not yet made a definite ruling approving the deal, the new ombudsman could nullify it. Former Deputy Ombudsman for Luzon Mark Jalandoni routinely reviewed decisions of his co-deputies and even “overruled” decisions made by the Ombudsman herself. Newsbreak earlier reported that Jalandoni was a trusted aide of Gutierrez, whom she brought along with her from the Department of Justice. He resigned last April 8 following reports that some sectors have filed complaints against him before the Office of the President. It was after Jalandoni’s resignation, a source close to Gutierrez told Newsbreak, that she first considered quitting. Gutierrez designated Jalandoni to speak on her behalf as well as on behalf of the other officials at the office of the Ombudsman. Apparently, Jalandoni also played a vital role in the delays in the resolution of cases filed before the Office of the Ombudsman, the private prosecutors told Newsbreak. “He ‘archived’ around 2,000 cases,” said lawyer Stephen David. By ‘archived,’ David said, he meant that Jalandoni had a hand in deciding whether decisions signed by the Ombudsman should already be released or not. ABS CBN NEWS: SENATE SHELVES IMPEACHMENT TRIAL >>> The robes of senator-judges have been delivered, and the rules have been approved and published. But because of Gutierrez's resignation, her impeachment trial will no longer push through. Malacañang today assured that a true "tanod-bayan" will replace Ombudsman Merceditas Gutierrez, who has resigned pending her impeachment trial at the Senate. "We have been saying this for a long time, that the Ombudsman that we need is a true tanod-bayan," deputy presidential spokesman Abigail Valte said in a radio interview. In a press conference, President Aquino asked the Judicial and Bar Council to start looking for candidates as the next Ombudsman. Valte said that President Aquino has yet to reveal his preference for the new Ombudsman. She said an Ombudsman "needs to be someone who has been persistent in the fight against corruption, with considerable integrity and competence to execute the job." “I would try my best but I would like to be remembered as a woman with guts”...was the response of Ombudsman ...Gutierrez to the Judicial and Bar Council (JBC) which asked her—as a nominee to the position then—how she would like to be remembered as the country’s chief graft buster. To her critics, she failed miserably to live up to these words. It also did not help that she was at odds with then Special Prosecutor Dennis Villa-Ignacio, who also aspired for the Ombudsman post. Her war with Villa-Ignacio worsened the gridlock in the speedy resolution of cases. Villa-Ignacio said that Gutierrez stopped the hiring of additional investigators and prosecutors, even if this was one of the recommendations by Hong Kong-based anti-corruption czar Tony Kwok, who was hired by Marcelo when he was Ombudsman. When Marcelo left, Kwok stayed on but not for long. We learned that Kwok had warned Gutierrez that he would resign once he felt that the Ombudsman was encountering credibility problems. Kwok left the country quietly. Newsbreak sent emails to him but got no reply. With the centralized resolution of cases, clogging was inevitable, especially if the last signatory, Gutierrez, was always out of the office. Out of the country and out of town are the more apt terms. Early on in her stint, Gutierrez convened the multi-sector anti-corruption council as part of the grant conditions given by the European Commission for anti-corruption prevention project. Initial response from local anti-corruption groups was encouraging, but this was not sustained. At the height of the impeachment case against Gutierrez before the House of Representatives, a Deputy Ombudsman allied with Gutierrez asked if the multi-sector anti-corruption council could issue a statement of support for her. The move never materialized for lack of support from members of the council. In the end, Gutierrez was all by herself, fighting a battle that she was bound to lose. While several employees of the Office of the Ombudsman shed tears as their boss Merceditas Gutierrez announced her resignation, they knew that the sad news came at a least desired time – the office's anniversary. Gutierrez, who tendered her resignation personally to President Benigno Aquino III on Friday, will officially vacate her post on the afternoon of May 6 (a Friday), less than a week before her office celebrates its 23rd anniversary. "This is really so sad. And to think we would be celebrating our anniversary on May 12," an emotional Ma. Amelita Garcia, an associate graft investigator officer III, told GMA News Online after the press conference where Gutierrez announced her resignation. The graft investigator admitted that the departure of Gutierrez – who was impeached by the House of Representatives in March and was supposed to face Senate trial on May 9 – would deal a backlash on the performance of the employees of the Office of the Ombudsman. "Siguradong affected ang morale namin nito. We could really boast of her concern for her staff," Garcia said. She admitted that she and her fellow employees have failed to entirely focus their efforts and strength on their jobs because they were constantly being bothered by the non-stop barrage of criticisms against her. INQUIRER: Gutierrez quits >>> "I am not protecting Gloria Macapagal-Arroyo"
Manila Auxiliary Bishop Broderick Pabillo also said Gutierrez’s resignation on Friday should not stop the process of making her accountable for her alleged misdeeds. ...activist priest Jose Dizon of Solidarity Philippines also said that the Ombudsman’s resignation only proves that the impeachment complaint against her “is strong." Dizon said the situation now lies in the hand of Aquino to realize his campaign promise to combat rampant corruption in government. “This is really a test for Aquino if he can appoint someone who will go against corrupt former government officials,"
Legislators and groups pushing for the impeachment of Ombudsman Merceditas Gutierrez vowed Friday to pursue cases against her and her former boss, Pampanga Representative Gloria Macapagal-Arroyo. "We will pursue cases against Merci (Gutierrez) and GMA (Arroyo) is definitely next," said Akbayan party-list Representative Kaka Bag-ao, adding the Ombudsman's resignation Friday only shows that the allegations thrown against her are true. Gutierrez, who was charged with betrayal of public trust, resigned from her post on Friday, 10 days before the Senate begins the trial on impeachment case filed against her. Ombudsman Merceditas Gutierrez has resigned, according to sources at the Office of Political Affairs in Malacañang. The sources, who requested anonymity because they are not authorized to talk to media, said Gutierrez submitted her resignation letter to President Benigno Aquino III Friday morning. Gutierrez is facing impeachment charges for, among others, alleged neglect of duty in failing to act on the criminal and administrative cases filed primarily against former president Gloria Macapagall-Arroyo and husband, Jose Miguel. Mr. Aquino is also expected to announce Gutierrez's resignation. Cebu Deputy Ombudsman for the Visayas Pelagio Apostol welcomed her decision. He also expressed willingness to be appointed to the post if called upon by the President. Applicants for the Ombudsman post should be natural-born citizens of the Philippines at the time of their appointment, at least 40 years old, a member of the Philippine bar, must not be a candidate for any elective office in the last elections and have practiced law for a decade or more. Under the 1987 Philippine Constitution, the Ombudsman shall be appointed by the president from a list of six nominees prepared by the Judicial and Bar Council. Gutierrez's resignation came amid the Ombudsman-Visayas's dismissal of two cases filed against Cebu Gov. Gwendolyn Garcia and others in relation to the Cebu International Convention Center (CICC). Ombudsman Merceditas Gutierrez has reportedly submitted her letter of resignation to President Benigno Simeon Aquino III, 10 days before her Senate impeachment trial was set to begin on May 9, reliable sources from both camps said Friday. According to a high-ranking government official who declined to be identified until the formal announcement this afternoon, Aquino accepted Gutierrez's resignation. The report was confirmed by a source close to Gutierrez. Senators and the congressmen who would be prosecuting Gutierrez had been preparing for a trial, which was expected to last for several months and would have revisited corruption cases against former president Gloria Macapagal-Arroyo. The House of Representatives impeached Gutierrez last March, elevating the case into a Senate trial. (6) inaction on the “Euro Generals" issue. As she announced her resignation on Friday afternoon, Ombudsman Merceditas Gutierrez said her loyalty has always been to the Filipino people and not to former President Gloria Macapagal-Arroyo who appointed her to office five years ago. At a press conference, Gutierrez said she submitted to President Benigno Simeon Aquino III on Friday her resignation effective on May 6, or three days before the Senate impeachment trial against her was set to begin on May 9. Gutierrez said while she was grateful to Arroyo for having appointed her to office, her "undivided loyalty" was to the Filipino people, and not to the former President. "I shall leave this Office with regret at not completing my term, but with gratitude for the privilege of serving as Ombudsman for the past five years," Gutierrez said. officials transcend all other considerations," Gutierrez added. "It is in accordance with these principles that I have strived and persevered to build and maintain an unblemished record in public service. For me, this is the greatest and lasting legacy that I can leave my family, my children and my children’s children," she said. The House of Representatives on March 22 voted to impeach Gutierrez. "I wanted to face my accusers whatever the personal agony it would have involved. always come before any personal considerations," Gutierrez said. "I have not shirked in the face of pressure, have never been cowed into submission, have never been influenced other than by truth and justice. To leave before the end of my term in December 2012 is abhorrent to me," she said. Nation, the interest of my Office, and as a mother and wife, my family," she added. There's nothing personal in this fight. President Benigno Aquino III said this was what he told outgoing Ombudsman Ma. Merceditas Gutierrez when she showed up at Malaca? Friday morning to personally submit her resignation letter after the administration showed its resolve to have her impeached. "I repeated to her that this fight was not personal. I have a commitment to the public to uphold the Constitution, to which I subscribed to," Mr. Aquino said. In fact, Mr. Aquino, who before was one of Gutierrez's fiercest critics, found himself on Friday reassuring her about her security. The President said he was happy with Gutierrez's "unexpected" resignation as it removed one stumbling block in the government campaign to go after grafters, particularly persons "of higher priority" than the outgoing Ombudsman. He added that Congress would now also have more time to tackle the administration's priority bills instead of focusing on Gutierrez's impeachment. "Merceditas Gutierrez personally submitted to me her resignation as our country's Ombudsman, effective May 6," the President said in a press conference. "Her action has spared the country from a long and divisive impeachment process that would have distracted our lawmakers from dealing with the many problems that we face today. It also paves the way for the appointment of a new Ombudsman," he added. Mr. Aquino thanked the House of Representatives—which had voted to send Gutierrez to the Senate for an impeachment trial—and urged the Judicial and Bar Council "to begin the search for a new Ombudsman." "With the support of the public, we can now proceed more decisively in making government officials more accountable to their bosses: the Filipino people," Mr. Aquino said. When asked if Gutierrez was now off the hook, the President said: "I'm not saying Merceditas is the least priority but there are people who have higher priority." "Unfortunately, one of the problems of our country is that it takes six years to adjudicate a case. I have five years and two months to go .... I cannot [charge] everybody ... there has to be a prioritization. I want to be realistic," Mr. Aquino explained. "The focus should be on the principles—deliver the message, secure the convictions, and also to bring the people who have caused crimes [to justice] ... so we can't [charge] everyone," he added. Mr. Aquino said he thanked Gutierrez for resigning and also acceded to her request that she retain her security detail. "How can one not be happy when she did that? How can one not be glad now that there is one less worry that we would spend time on," he said. "Of course we are happy that the unexpected happened ... We were really preparing for the impeachment. The debates in the House were heavy. We were preparing for the Senate," he added. Mr. Aquino said that securing Gutierrez after she finally leaves office should not be a problem. "She also asked about her security and I said that that was not a problem. The people protecting her would continue doing it. I just asked for a formal request," Mr. Aquino said. The President also said that he was still consulting his legal advisers if the new Ombudsman should serve out the remainder of Gutierrez's term or have a new full term in office. Beleaguered Ombudsman Merceditas Gutierrez submitted her resignation letter to President Benigno Aquino III today, less than two weeks before the scheduled impeachment hearing against her at the Senate. In a press conference hours after she submitted her resignation, Gutierrez said she personally handed her resignation to President Aquino around 10:30 a.m.
She said President Aquino, who had thrown strong words against her, was "graciously accommodating" and gave her kind words during their meeting. The Ombudsman’s resignation came 10 days before her impeachment trial at the Senate. The impeachment trial against Gutierrez was set after a majority of House lawmakers pushed for her ouster based on six allegations, which include inaction in the P728 million fertilizer fund scam, the Euro general case, the 2004 Mega Pacific deal, the NBN-ZTE deal, the Philip Pestano case, the low conviction rate during her term in office. Senator Jinggoy Estrada also said that resigning was the best move because it saved the Ombudsman from humiliation. Senator Francis Escudero said the resignation did not give the Ombudsman immunity from cases that may be filed against her in the future. Pangilinan said with Gutierrez out of the Office of the Ombudsman, former president and now Pampanga representative Arroyo's "armor of invincibility" is "surely chipping away." “Now that Merci is out of the way, GMA’s fortress will come tumbling down, and we should use this as an opportunity to make the Arroyo administration pay for its corrupt, twisted ways,” he added. Meantime, Aquino confirmed this afternoon that Gutierrez visited her early today to personally hand her resignation letter. He said Gutierrez’s departure spared Congress from the long and winding road of impeachment trials. "Her action has spared the country from a long and divisive impeachment process that would have distracted our lawmakers from dealing with the many problems we face today," he said. The President called on the Judicial Bar Council to start the search for a new Ombudsman that will immediately replace Gutierrez when she leaves the post on May 6. Asked how the Aquino administration fights corruption, National Economic and Development Authority Secretary Cayetano Paderanga Jr. said they are looking for any opportunities for corruption to happen and remove those opportunities...if there is no opportunity for corruption, then no one will be tempted to commit such crime. Department of Justice forms 3-man prosecution panel to conduct preliminary investigation on P2-billion+ plunder charge filed against 3 Eexmilitary chiefs and others. Arroyo ally Solon says latest court case against her was in response to President Aquino's "not so subtle" order to go after former President, her family and allies. Ombudsman reminded "Dead men can't be charged in legal forum"
Justice Secretary: Deputy Ombudsman Gonzalez formally dismissed from office after failing to seek reconsideration of Office of President decision. Department of Justice forms panel to conduct preliminary investigation into Local Water Utilities Administration's questionable acquisition of thrift bank that cost government P480 million. Free concerts set for soldiers to get their minds off CORRUPTION scandal involving former top military officials. SOLON AIRS VIEW ON FERTILIZER FUND SCAM: A senior administration congressman has decried the decision of the Office of the Ombudsman to link him to the controversial fertilizer fund scam, saying that the move was an apparent retaliation to his active participation in the bid to impeach her. Romblon Rep. Eleandro Jesus F. Madrona said it was only recently that his name surfaced in the 2004 anomalous fund transactions under the Department of Agriculture. He vehemently denied having benefited from irregularities that attended the project... The veteran lawmaker was among the allies of President Aquino who pushed for the removal of Gutierrez. Before resigning, Gutierrez approved a resolution recommending the investigation of Madrona and ten other congressmen who were either mayors or governors when the fertilizer fund was distributed in 2004. During the investigation of the case that spanned over five years, Madrona's name was never mentioned as a possible suspect. Madrona, former head of the House committee on ethics, said the belated implication of his name to the scam was clearly an attempt by the Ombudsman to get back at those who backed the impeachment. COA ALERTED NATIONAL FOOD AUTHORITY ON FERTILIAER SCAM AS EARLY AS 2003: The Commission on Audit (COA) had uncovered anomalies in the procurement of fertilizer by the government as early as 2003, a year before the alleged P728-million fertilizer fund scam was discovered. In February 2004, sate auditor Flerida Jimenez wrote former National Food Authority administrator Arthur Yap - who now represents Bohol in Congress - regarding the discrepancies she noted in the NFA's joint project with the Department of Agriculture in May 2003. The "alleged anomaly" covers P432 million worth of fertilizer that was supposed to be bought by NFA for the agriculture department, for purposes of distributing them to farmer-beneficiaries in time for the May-October 2003 cropping season. The NFA-DA memorandum of agreement was signed by Yap and former Agriculture secretary Luis Lorenzo Jr. Jimenez noted "inconsistencies" in the signing date and the grant of authority on the part of the NFA because Lorenzo authorized the purchase of the fertilizer (powder) through a negotiated contract 12 days before the signing of the agreement. FERTILIZER WHISTLEBLOWER CRIES FOUL: After agreeing to turn state witness against key players in the P728-million fertilizer fund scam, Jose Barredo could not believe he would end up among those charged with plunder. "I didnt get anything. Even if you investigate my background, you will see that we are not well-off," he told reporters Monday. Barredo is among the people the Office of the Ombudsman had recommended to be charged with plunder for the alleged diversion of P728 million in fertilizer funds for the 2004 election campaign of then President Gloria Macapagal-Arroyo, who has denied any wrongdoing... He said he was just an employee and insisted that he had not gotten anything from the fertilizer deals. With his testimony in the Senate in 2005 and 2008, he thought he would be immune from suit, he said. Barredo had testified in the Senate that Marites Aytona, who was allegedly fronting for Bolante, had offered him the job of selling liquid fertilizer from Feshan Philippines Inc. to lawmakers, governors and mayors who would receive the fertilizer funds. The use of the funds was considered a crime because of the alleged overprice of the fertilizer, and the irregularities in the release and distribution of the money. The Office of the Special Prosecutor is preparing the filing of information with the Sandiganbayan following the recommendation of the Office of the Ombudsman to file plunder charges against former Agriculture Undersecretary, former Secretary, former Assistant Secretary, and 6 others in line with the P728 million fertilizer fund scam. DEAD MAN TO BE CHARGED WITH PLUNDER: A dead man will be charged with plunder and other offenses before the Sandiganbayan for allegedly taking part in the P728-million fertilizer fund scam in 2004. Last week, Overall Deputy Ombudsman Orlando Casimiro signed on behalf of Ombudsman Merceditas Gutierrez a resolution finding probable cause to charge in court Gumersindo Lasam, who died two years ago after two men on a motorcycle ambushed him while he was on his way to his farm in Barangay Basi West, Solana, Cagayan province. OMBUDSMAN ORDERS PLUNDER CHARGES AGAINST FORMER AGRICULTURE SECRETARY, CONGRESSWOMAN AND 33 OTHERS: The Office of the Ombudsman has recommended the filing of graft charges against former Agriculture secretary Luis Lorenzo and former undersecretary Jocelyn "Joc-Joc" Bolante in connection with the P728-million fertilizer fund scam. A report by dzMM radio said that aside from Lorenzo and Bolante, the Ombudsman's office also recommended the filing of charges against former Quezon City congresswoman Nanette Daza and 33 incumbent and former government officials over the fertilizer fund scam...The order came six years after the scam was exposed and investigated by the Senate in 2005. The fertilizer fund was allegedly used by the past administration to lure local officials into supporting the presidential bid of former President Gloria Arroyo in 2004. The Ombudsman earlier filed two graft charges before the Sandiganbayan against incumbent Sorsogon Governor Raul Lee, accountant Raul Hernandez and provincial treasurer Ofelia Velasco. The Ombudsman said that the accused caused undue injury to the government by approving the purchase of 2,133 liters of Bio Nature Liquid Fertilizer from Feshan Philippines Inc. in 2004. 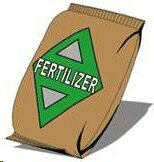 The provincial government purchased the fertilizer at P1,500 per liter against prevailing market price of only P180/L. WHAT WENT BEFORE: Bolante flew to the United States before the inquiry started, prompting the Senate to request the cancellation of his US visa. He was subsequently arrested in the United States and jailed there...Through the years Bolante's petition for asylum was rejected by the US courts, and he was eventually deported to the Philippines in October 2008. EX-SENATE PROBE CHAIR: COULD BE A "PLOY" >>> Former Senator Ramon Magsaysay Jr., who headed the Senate probe in 2006 into the fertilizer fund scam, said the filing of charges against Secretary Luis 'Cito' Lorenzo, former Agriculture Undersecretary Jocelyn "Jocjoc" Bolante and several others could be a ploy of Ombudsman Merceditas Gutierrez to counter the impeachment case against her before the Senate. "It's only now after 6 years or so that they were forced to undertake this formal presentation to the Sandiganbayan...It's a ploy, maybe a legal strategy, that they have finally addressed the issue after 6 or 7 years," Magsaysay told ANC. With the new charges, Magsaysay warned of possible legal complications on the impeachment case stemming from the Ombudsman's alleged inaction. I think they're trying to destroy the impending impeachment when the Congress comes back after the Holy Week. HOUSE PROSECUTORS: FERTILIZER CASE TO FAIL >>> The plunder charges being readied by the Office of the Ombudsman against former Agriculture Secretary Luis "Cito" Lorenzo Jr. and his undersecretary Jocelyn "Jocjoc" Bolante are designed to fail, House prosecutors said yesterday. Iloilo Rep. Niel Tupas Jr., House justice committee chairman, said the charges against the two former agriculture officials "could suffer the same fate as those filed (with the Sandiganbayan) against (former justice secretary) Nani (Hernando) Perez." He said the Sandigan dismissed the case against Perez "due to inordinate delay (in its filing)." Senior committee vice chairman Ilocos Norte Rep. Rodolfo Fariñas shares his view. "Precisely, we impeached her for such inordinate delay, which is tantamount to betrayal of public trust, and will prosecute and seek her removal from office by the Senate," Fariñas said. In dismissing the graft and extortion charges against Perez, the Sandigan ruled that the five-year delay in the filing of the case violated the former justice secretary's rights to due process. ROXAS SLAMS OMBUDSMAN FOR BELATED FILING OF CHARGES IN FERTILIZER SCAM: Former senator and Liberal Party president Manuel "Mar" Roxas II on Saturday lambasted Ombudsman Merceditas Gutierrez for the belated filing of plunder and corruption charges against former Agriculture Undersecretary Jocelyn "Jocjoc" Bolante. "She thinks Filipinos are fools," Roxas told the Philippine Daily Inquirer on the sidelines of the Capiztahan festival. The Office of the Ombudsman on Friday filed a plunder complaint against former Agriculture Secretary Luis Lorenzo, Bolante and former Agriculture Assistant Secretary Ibarra Poliquit in connection with the P728-million fertilizer fund scam. Roxas, who fiercely campaigned against Bolante when the latter ran for governor of Capiz in the 2010 elections, said the complaint was "startling" coming only after six years and when Gutierrez is set to face an impeachment trial in the Senate. "(Gutierrez) sat on this case for four years, being blind to the charges against (Bolante). This is the biggest proof that she has done nothing and of her dereliction of duty," Roxas said. Palace on Bolante graft raps: '"Too little too late"
ABS-CBN NEWS: FINALLY, CASES RELATED TO FERTILIZER SCAM REACH COURT >>> The seven-year old Fertilizer Fund Scam is finally moving, with the Office of the Ombudsman's decision to file before the Sandiganbayan two cases related to it. Two graft charges were filed last April 7, naming as respondents incumbent Sorsogon Provincial Governor Raul R. Lee, accountant Raul G. Hernandez and provincial treasurer Ofelia D. Velasco. A 22-page resolution recommending indictment was submitted to Ombudsman Merceditas Gutierrez by graft investigation and prosecution officer II Judy Anne Doctor-Escalona way back November 24, 2008. It stemmed from the complaint of Sorsogon provincial board member Rebecca De Leon Aquino, who accused the officials of undue injury to the government by approving the purchase of 2,133 liters of Bio Nature Liquid Fertilizer from supplier Feshan Philippines Inc. in 2004. The fertilizer was bought at P1,500 per liter against a prevailing market price of only P180/L or an overprice of more than 800 percent. BUSINESS WORLD: GRAFT CHARGES have been filed against those involved in the alleged fund diversion for the campaign of then president Gloria Macapagal-Arroyo more than six years ago. SUN STAR: Fertilizer scam case filing "too little, too late"
ABS CBN NEWS: MILITANTS >>> Why was Joc-Joc left out in court case? Department of National Defense committee has recommended a further investigation of "certain individuals" in the military who "might have committed transgressions or irregularities,"
Justice Secretary Leila De Lima has designated the highest ranking prosecutor to lead the conduct of preliminary investigation on the plunder complaint filed by former military budget officer Colonel George Rabusa against three former Armed Forces Chief and 14 others in relation to the AFP fund scandal. ALLEGED PLUNDERERS TO GET "BEST DEFENSE": The government will have to spring for the legal defense of seven active military officers accused with 10 others of plundering up to P2.3 billion from military coffers. According to Brig. Gen. Jose Mabanta Jr., spokesperson of the Armed Forces of the Philippines, the officers would be given "the best" legal assistance - possibly even private lawyers - because the charges they face were "in connection with their duties." The officers, charged last week with plunder by former military budget officer and retired Lt. Col. George Rabusa, would also not be suspended or temporarily relieved from their posts. Retired Lt. Col. George A. Rabusa, former military budget officer and whistle-blower in the fund scandal charged former AFP chiefs-of-staff Diomedio P. Villanueva, Roy A. Cimatu and Efren E. Abu and former comptrollers Jacinto C. Ligot and Carlos F. Garcia. "The complaint focuses on a series of the conversion of funds of the AFP," Noel M. Malaya, the counsel of Mr. Rabusa, told reporters after filing the complaint. Irregularities cited in the complaint occurred in 2000 to 2004 and involves over P2 billion in misused military funds, he added. The complaint also cited monthly support, pabaon and pasalubong (cash gifts) provided to the former chiefs and cash of others in the charge list. Late former Defense secretary and AFP chief Angelo T. Reyes was also cited in the case, but his criminal liabilities were extinguished after he committed suicide in February. Mr. Rabusa has claimed that Mr. Reyes had received about P150 million; Mr. Villanueva P227.4 million; and Mr. Cimatu P110 million. Meanwhile, Mr. Ligot received a total of P360 million in questionable allowances while in office, and Mr. Garcia received P368 million. Mr. Rabusa also discussed other issues he raised in Senate inquiries, such as the misuse of United Nations peace-keeping funds in East Timor, the anomalous purchase of ammunition from Thailand during the presidency of Joseph E. Estrada, and the purchase of unmanned aerial vehicles in 2001. Rabusa submitted over 20 volumes of evidence containing receipts, checks and other documents allegedly signed by the respondents during the alleged fund diversion. FROM ASIA TIMES: PERCEPTION AUDIT FOR AQUINO >>> Philippine President Benigno Aquino promised on last year's campaign trail that as leader he would take a "straight path" and prioritize uprooting the country's endemic culture of corruption. Now in power for nearly nine months, he's finding it difficult to fulfill that clean government pledge and maintain momentum behind his wider reform agenda...certain appointments to the top of key agencies have strengthened at least perceptions of his commitment. In particular, he tapped two no-nonsense executives for the Bureau of Customs (BOC) and the Bureau of Internal Revenue (BIR), the government's two biggest sources of revenue and widely viewed as among its most corrupt. Foreign investors have long carped that tax payment and customs collection lack in consistency and transparency and prone to abuse by corrupt officials. Aquino also recently appointed respected whistle-blower Heidi Mendoza as the Commission on Audit's (COA) new commissioner. Mendoza brought to light large-scale anomalies in Armed Forces of the Philippines (AFP) procurements and other practices during recent congressional hearings. Despite the reform rhetoric and high-profile appointments, outsiders continue to view the country as a bastion of corruption...It's not clear yet Aquino has leveraged effectively the momentum of last year's election win to tackle entrenched vested interests, particularly those associated with his own political camp. But as public frustration shifts from corruption concerns to rapidly rising fuel and food prices, some political analysts wonder if Aquino hasn't already squandered the best chance in a generation to rehabilitate the country's corruption-tainted image and political culture. Plunder... r r r r r ! OMBUDSMAN: ARROYO PLUNDER CASE IS OURS >>> The Office of the Ombudsman will take over the plunder case of former President Gloria Macapagal-Arroyo after the investigation of the Department of Justice (DOJ). Assistant Ombudsman Evelyn Baliton said the anti-graft agency has exclusive jurisdiction over all criminal cases against government officials and employees. "If it is within the DOJ's mandate to initiate an investigation, and if that investigation is in the nature of fact-finding, whatever finding of that investigation will be forwarded to our office," Baliton said yesterday. Justice Secretary Leila de Lima said the DOJ has authority to look into the plunder complaint against Arroyo and her former officials. Arroyo is leaving her fate to the courts, former spokesman Gary Olivar said yesterday..."Due process is there to separate the rumor from the substance of the statement, we have to rely on that, regardless if you are a former president or not." House of Representatives Senior Deputy Minority Leader Danilo Suarez earlier predicted the case would be dismissed by the court. PLUNDER RAPS TO INCLUDE LABOR SECRETARY, 8 MORE: With their signatures on the document that enabled the transfer of more than P530 million in overseas Filipino workers' funds to the government health insurance corporation, eight more people, including Labor Secretary Rosalinda Baldoz and one of her predecessors, Patricia Sto. Tomas, will be included in the plunder complaint filed by lawyer Frank Chavez against former President Gloria Macapagal-Arroyo. "Everybody's to be held accountable. You have to convince people that you mean business. You cannot be selective," Chavez, a former solicitor general, Thursday told the Inquirer by phone. In another interview with the Inquirer, Chavez said the Commission on Audit should review its report on the fund transfer. He said newly appointed COA Chair Grace Tan should refrain from citing the report stating that there was nothing irregular in the fund transfer. "She should have quietly done a re-audit considering that the 2006 audit was done in an atmosphere controlled by the past administration," Chavez said on the phone. He said Tan's statement was misleading and "painted me as a stupid incompetent." DOUBTS RAISED, BUT 2 MORE CASES POSSIBLE: Doubts on a P530-million plunder charge against former President Gloria Macapagal-Arroyo emerged a day after it was filed, but, already, more of the same accusations are being prepared. Grace Tan, the new chief of the Commission on Audit (COA), said Wednesday the agency had looked into the transfer of funds belonging to overseas Filipino workers (OFWs) to a government health insurance scheme, but its 2006 report did not find it anomalous. The fund transfer from the Overseas Workers Welfare Administration (OWWA) to the Philippine Health Insurance Corp. (PhilHealth) was the basis of the plunder charge filed by former Solicitor General Frank Chavez on Tuesday in the Department of Justice. The President has broad plenary powers, Tan pointed out, to effect the transaction. "The act of transferring funds per se, in itself, is not an offense. Now as to the attendant circumstances, we could not discuss it because (a case) has been filed. The issue of the money being a trust fund is the reason why the case was filed," she said. On the heels of the Chavez move, Justice Secretary Leila de Lima told reporters Wednesday that Arroyo was likely to face at least two more plunder charges. De Lima said she planned to retrieve a case filed in the shelved truth commission by Bayan Muna party-list Representatives Neri Colmenares and Teodoro Casiño in connection with the scuttled $329-million NBN-ZTE deal. LABOR SECRETARY: "I WILL COOPERATE" >>> Labor Secretary Rosalinda Baldoz said on Wednesday she will cooperate in the investigation of a plunder compliant filed against former President Gloria Macapagal-Arroyo and 3 other officials due to alleged misuse of funds of the Overseas Workers Welfare Administration (OWWA). Former Solicitor General Frank Chavez is poised to include Baldoz in the complaint, which stemmed from alleged misuse of some half a billion pesos of OWWA funds. "I will cooperate in the investigation," Baldoz said in a text message to ABS-CBN News. Baldoz's possible inclusion in the complaint came after Chavez said a primary evidence in the complaint shows that one of the signatories in the OWWA board resolution allowing the transfer of the funds to Philhealth is Baldoz. Baldoz was chairman of the Philippine Overseas Employment Administration at the time of the transaction. More than P530 million was indeed transferred from the Overseas Workers’ Welfare Administration (OWWA) to the Philippine Health Insurance Corp. (PhilHealth) through an executive order from former President Gloria Macapagal-Arroyo, records from the Commission on Audit (COA) showed. Based on the COA annual report in 2006, Arroyo signed two separate executive orders authorizing the transfer of P530,382,445 supposedly meant to fund health benefit packages for overseas Filipino workers (OFWs). Executive Order No. 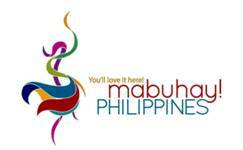 182, signed on Feb. 14, 2003, transferred the Medicare functions of OWWA to the PhilHealth. "This same EO mandates the transfer of Medicare funds administered by OWWA to [PhilHealth]," according to the COA report obtained by GMA News Online. A second order, Executive Order No. 382 dated Dec. 28, 2004, was made to amend EO 182 and provided "that the fund to be transferred shall be in the amount actually needed to fund the basic OFW Medicare Program for a period of one year to ensure continuity of services to OFWs." The amount that was transferred was approved by the OWWA Board of Trustees on February 24, 2005. The transfer also came in two installments of P300 million (transferred on March 16, 2005) and P230,382,445 (transferred on April 19, 2005). The fund transfer from OWWA to PhilHealth was among the basis of a plunder complaint filed by former Solicitor General Frank Chavez and the migrants’ right group Migrante International against Arroyo. "Today is one of those days of reckoning." These were the first words uttered to the media by former Solicitor-General Frank Chavez upon his filing of a complaint for plunder before the Department of Justice (DOJ) Tuesday against former president and now Pampanga Congresswoman Gloria Macapagal Arroyo, two of her former alter-egos and another high-ranking government official for the alleged misuse of Overseas Workers Welfare Administration (OWWA) funds mainly for purposes of Arroyo's reelection bid in the 2004 elections. The 23-page complaint filed at the Department of Justice (DOJ) on Tuesday named former Arroyo executive secretary and former Foreign Affairs secretary Alberto Romulo, former Arroyo health secretary and current Civil Service Commission (CSC) Chair Francisco Duque III, and former OWWA administrator Virgilio Angelo as Arroyo's co-respondents. Chavez claimed some P554.8-million in OWWA funds derived from contributions of overseas Filipino workers (OFWs) and their employers were misused by Arroyo, et al., over P530-million of which were transferred from the OWWA Medicare Fund to the Philippine Health Insurance Corporation (Philhealth/PHIC) in February 2004 to allegedly boost Arroyo's presidential campaign. Chavez, who filed the complaint in his capacity as a taxpayer, claimed the transfer was made possible upon instructions by Arroyo in June 2002 through then Cabinet Secretary Ricardo Saludo for the issuance of guidelines on "the management and utilization of the OWWA Fund" and "the streamlining of operations and administrative systems and procedures." For allegedly dipping her fingers into a cookie jar reserved for overseas Filipino workers, former President Gloria Macapagal-Arroyo so disgusted at least three Malacañang insiders that they helped put together plunder charges that she is now facing. Former Solicitor General Frank Chavez Tuesday filed a 23-page complaint claiming that Arroyo, now a Pampanga representative, misused more than P550 million from the Overseas Workers’ Welfare Administration (OWWA) from March 2003 to February 2004. “This was all very well-orchestrated because in all the recommendations made by the respondents, there was always the handwritten notation made by Gloria Macapagal-Arroyo ‘OK, charge to OWWA funds.’ But the OWWA funds are funds held in trust by the government and they cannot dip their fingers into the cookie jar that exclusively belongs to the overseas Filipino workers,” Chavez told reporters. Chavez said three mid-level officials photocopied the documents for him, which was why all these he had submitted as bases for his plunder complaint bear Malacañang bar codes. Chavez’s sources said they pitied the OFWs whose funds were being misused. He said this was in February 2004 before the presidential elections. In 2004, critics assailed then President Gloria Macapagal-Arroyo for allegedly authorizing the diversion to her presidential election campaign of some P4 billion from the Overseas Workers Welfare Administration (OWWA) funds to the Philippine Health Insurance Corp. (Philhealth). They said OWWA funds, amassed from the $25 collected from each departing overseas Filipino worker (OFW), supposedly financed the Philhealth insurance cards which Arroyo distributed during her campaign rallies all over the country. Former Solicitor General Frank Chavez, then seeking a Senate seat under Sen. Raul Roco’s Alyansa ng Pag-Asa, sought the disqualification of Arroyo for allegedly using public funds for her campaign. Malaca? however explained that the cards, which bore Arroyo’s picture, were part of the President’s commitment to provide healthcare to poor Filipinos. In July 2006, questions on the OWWA funds were revived when Philippine Ambassador to Lebanon Al Francis Bichara claimed that he had not received a single cent from OWWA for the evacuation of Filipinos from war-torn Lebanon. Click hre to read full Inquirer article. Easter 2011. We are commemorating Christ’s resurrection, but our new life as a nation is still a long way off. Our national resurrection will come only after we have gone through a national conversion, which will involve our ongoing passion-and-death that leads to a new life. And our passion-and-death at this point in our history is our dual national cross: corruption and poverty. Remember the campaign slogan of Pres. Aquino before he was elected? “Kung walang corrupt, walang mahirap!” Let us then ask ourselves: Is this a hopeless situation? In faith, the Lord keeps telling us that it is not. In fact, there are already signs that we just have to recognize and support through our own efforts and trust in the Lord. One such sign is the Coalition Against Corruption, and a moving spirit behind this admirable effort is David Balangue, former chairman of SGV and co-founder of the Tita Cory Movement. Also in this coalition is the Transparency and Accountability Network (TAN) under Vicente Lazatin which I have previously written about in this column. In a recent talk that Balangue gave to the Magis Deo Marriage Encounter Community, he emphasized that corruption has become a part of our culture, which I call a mentality of amorality. The “Okey, lang” mind-set, from the practice of “lagay” on the local level all the way up to the fertilizer fund scam up there, among our leaders. To begin with, many poor people have been deprived of quality education in public schools due to corruption. Says Balangue: “Good education is the best ticket out of poverty and ignorance but continues to be a distant dream for the country because funds that are supposed to be spent for them were instead stolen by our corrupt government officials.” Moreover, many of our social and economic infrastructures like health care, housing, jobs, and others have suffered due to graft and corruption. Based on UN studies, reports Balangue, the Philippines has lost almost US $40 billion to corruption over the last 30 years. Let us support his proposals to combat corruption. "PHILIPPINES TO RISE FROM DARKNESS"
President Aquino is optimistic that the country would be able to rise from darkness and the Calvary of corruption with the government and the people working together. “I am one with the Filipino nation in celebrating the Lord’s resurrection from the dead as He saved mankind from sins,” he said in his Easter message released yesterday. Aquino said the people should not waver in their faith in God and must continue following His lessons. “This is the first Easter celebrated by the new administration,” he said. “No matter how dark the episode we had been through, the advancement of honest and good governance, along with strong faith and cooperation, would be our foundation to overcome the Calvary that we have to deal with as we came in (government),” he added. Aquino said the people must intensify charitable works to manifest God’s love and compassion. “Let us continue to remember the real meaning of His great sacrifice,” he said. “Each and everyone of us can contribute to the end of corruption to lift our people from poverty and difficulties. It is only through this that the people would feel the real light of change," he said. Aquino wished all Filipinos a peaceful and blessed celebration of Easter. ...corruption, a problem we'd rather not think about...now threatens the ascension of developing countries into the top tier of world economies. Given its history, optimism on the subject would be foolish. But while the media and Wall Street focus on more tractable issues like inflation and exchange rates, world leaders seem perfectly clear on the greatest threat to the future of the BRICs and other emerging economies. Corruption is the "biggest threat to China," Premier Wen Jiabao told the National People's Congress in March... Developing-market corruption has reached staggering dimensions. India's telecom ministry apparently siphoned $30 billion from various projects over the past few years. A Russian activist posted online documents apparently showing a $4 billion fraud in a state-run company's trans-Siberian pipeline project. In China a minister overseeing the new high-speed rail network is accused of skimming $152 million (and maintaining 18 mistresses). The threat is broader than it may seem: Corruption discourages the investments needed for economic progress. In India "high-level corruption and scams are now threatening to derail the country's credibility and [its] economic boom," says a report from KPMG. The societal effects are subtler and arguably worse. Initiative and ambition shrivel: Why try hard when effort isn't the source of success? Respect for authority evaporates. Anger and resentment build, especially as a society becomes richer and the gulf between ordinary citizens and the officially tolerated crooks grows wider. When Premier Wen declared corruption the biggest threat to China, he wasn't talking about its effect on foreign investors; he's worried about "social stability." ...reform is extraordinarily hard...especially in big economies where "huge stakes are on the table." Reform "can degenerate into political payback" by the reformers. In the final analysis, the mother of all mothers of the stifling administrative and regulatory procedures is rooted in the restrictive economic provisions of the Philippine constitution. All the good things that were sought in order to regulate the economy could be traced to the efforts to conform to the perceived requirements of these restrictive provisions. ...it must be remembered that assuring the accountability of public officers goes beyond making the ombudsman accountable for a job that is poorly performed. The impeachment process will put to test whether the accountability for inaction (or incompetence) is deserving of conviction.